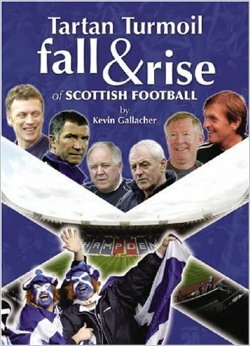 In 2005-2006, Kevin Gallacher, a former player for the Scottish National team brought out a book called Tartan Turmoil Fall & Rise. The book was essentially from a player’s perspective what could be done to revive the different methods of Scottish Football. Gallacher, a Clydebank born citizen came through the Scottish soccer scene during the 1980’s and played till 2002, possibly the year of collapse of the Scottish game through the retirement of national team players and other factors. Books such as Gallacher’s about the game and different elements are now near commonplace. This article as part 1 in a series will attempt to showcase the progress that has been made since 2005-2006 within the last ten years. Diet – A key force? As recently as the early 1990’s, it was estimated that youth team members of Dundee United would receive £5 Mcdonald’s vouchers to spend. Inevitably from an almost traditional sporting view, it has been perceived that fat is good for you. Yet this eerie viewpoint actually seems shocking today. Not long after the book was published, in 2006, Paul Le Guen recently appointed at Rangers became the first foreign influence to change the diet at Ibrox banning beer and curry nights. Le Guen’s matters were right but he would not stay long enough in Scotland to see the changes. He had enjoyed a fantastic career as a manager for Lyon in France and it was hoped his move to Scotland, a coup for the Glasgow club would help continue his fortunes to be a British footballing foreign success. It was however his contribution to Scottish Football aside from his statistically disastrous tenure proving a cultural one in trying to change the beliefs of a traditional guard mentality not willing to change their ways. In 2009, Barry Ferguson, the man Le Guen stripped of the captaincy at Ibrox and Allan McGregor were suspended for Scotland in a series of incidents starting from drinking beer beyond curfew. Were the notions right? In hindsight, yes it was but what does this overall have to do with diet? At this point, Scotland’s diet had not yet changed from the Fuel Zone and vending machines seen in high schools during the 1990’s period. It would take more change to fuel this and perhaps the notion of it being openly discussed has only come very recently. Mark Wotte, the former performance director of the Scottish FA made remarks about Scottish players being addicted to Buckfast and Burgers. He later rebuffed this claim saying things had improved. Celtic manager, Ronny Delia too recently told his players to sharpen up their athletic stance with a strict diet, another foreign influence looking at the culture from an outside point. Out of all the areas, perhaps rather surprisingly diet is still a concern. Scotland as a cultural place is still considerably associated with whisky, deep fried mars bars and Irn-Bru. A stereotype could be seen as outdated but the claim is one arguably seen in denial. Scotland has the poorest diet in the United Kingdom and one of the poorest in Europe. In many ways it has contributed to the recent news of the Mental Health crisis but such a generalisation may take away from the reason of diet in Scotland attributing to an entertainment value rather than a particular sporting prowess. In Glasgow, it is about the craziness of a Curry or a Fish supper as part of the experience. In Edinburgh, it is the tourist aspect of a quaint Scottish indulgence. Another stereotype but what is this with sport? Scottish diet is going through its own identity crisis because Scotland’s major sporting successes have come from the likes of Sir Chris Hoy and Andy Murray, athletes who trained away from the country and picked up new tastes. Add to the changes at the Scottish FA, and major structural overhauls at several clubs, the factor of diet is considerably changing but merely being showcased by individual athletes rather than the sport of Football itself. Climate, but additionally attitude has a big part in Scotland’s diet fortunes. The mainstream diet is not quite there but if British attitudes about smoking and drinking going down are seen to be believed, then the next group of young players will become part of another overhaul. It has taken foreign influence to spark debates. Such a debate can only be a good thing to bring through the changes that have taken surprisingly longer since in a fanzine-esq quip, Arsene Wenger introduced Pasta to Football in the mid-90’s. Scotland’s match seen above against Italy in 2005 was the first signs of a Scottish revival in sometime against top class opposition who would win the World Cup the following year. The first needs no introduction and in 2005, foreign players still largely dominated Scottish Football. Rangers had a grand total of 17. Even clubs like Livingston had 10. The likes of Balde, Petrov, Agathe, Boumsong, Klos, Novo and Prso were still dominant in both sides of the Old Firm quite possibly just after the likes of Larsson, De Boer and Sauzee. Heart of Midlothian challenging for the league had the likes of Euro 2004 winner, Tykas Fyssas, Champions League winner, Edgras Jankauskas, and the talented Czech midfielder, Rudi Skacel. Scotland was still benefiting from the Setanta deal. The firm collapsed a few years later. At this point, the Scottish League was still attracting good foreign players to both teams from England. Today the economics of top foreign players has collapsed to such an extent that the quality of Larsson, De Boer and Laudrup is a different bygone era that almost never happened. Today, Rangers have Six, Celtic remain affluent with eleven and Aberdeen, their nearest challengers, the grand total of five. Livingston have just three! Celtic’s star strikers today aside from on-loan John Guidetti is Leigh Griffiths, signed from the English third tier and Anthony Stokes. Rangers have an ageing trio of Kris Boyd and Kenny Miller. Compare this to Larsson and Sutton or Prso and Lovenkrands and the contrast is deafening. Where did the foreign players go? The rise of the English Championship and the quality in standard in economics and television coverage has seen an increase in foreign players over there. Today, the SPFL is now a feeder league almost to that particular stone. Foreign players today come in the shape of youngsters like Stefan Johansen or in previous cases Victor Wanyama, players spotted with potential for big signing on fees. There are also players looking to recover their careers, take Nadir Clifti at Dundee United or Morgaro Gomis at Hearts. The market has changed to attribute to the young. Some factors at play included the financial collapse of Hearts and Rangers playing a part in this as did Celtic’s standards plummet additionally from the lack of success in European Football. Foreign players previously were almost attributes to young Scottish players improving. Today, it is those players that have become like the foreigners with a huge plethora of players coming from down Hadrian’s Wall returning. David Goodwillie, James McFadden, Craig Gordon and Stephen Pearson, all different circumstances yet near tragically players not quite at considerable veteran stage. Likewise, it has revived Gordon and Goodwillie’s careers. Foreign players were originally seen as the demise in an instant gratification term for a lack of young players but because of the cracks seen, there is no doubt their influence had a major part. This is seen now in young managers like Jackie McNamara and Derek McInnes, players who grew up in the old school Scottish system of defensive football but played with expensive foreign players at a time of televised success for the Scottish game. If the foreigners are no longer there in numbers, it has shown a wider ambition for the Scottish clubs in structure. Money on the other hand is not a laughing matter. Without the attractive lure of top class foreign players, the game has essentially been cut and thrust. The top league has no sponsor and Scotland’s joint biggest club is in the Championship. Scotland’s biggest prize winner for winning the league is a cool £3.5 million. Since 2005, Rangers have gone into liquidation and come back, Gretna went bust, and Hearts, Dunfermline, Livingston and Dundee all went into administration. Scotland’s main professors in the University education system including Stephen Morrow at the University of Stirling have published large scale economic finding reports into the economic outposts. Scottish Football’s even keel structure has never recovered from Rangers dominance in the late 1980’s, a great white shark in a small pond. Their ability to buy the best of England’s national team essentially brought all clubs to overspend their means. Add to a league that until recently has been chronically uncompetitive and the odds in economic terms have slashed against the odds. Another way of looking at it was it was a great boom to Scotland being a country that could punch above its weight with a lavish glory of signings to even small provincial clubs. Clubs like Aberdeen and Dundee United, challengers to the Old Firm with a new firm basis under great Scottish managers have managed to almost revive their glory years in terms of a structure of buying players from lower league Scottish clubs on low fees but would this have happened had it been for the calculator reading minus zero zero? Much like the economic recession and indeed of being a current 20 something, spending habits have been slavishly cut. A feasible outreach of living like a student beyond undergraduate years for a Scottish football team seems like a vast option. Go for the interesting option.